Jaguars coach Doug Marrone probably should have coached in the Super Bowl last season and, if he had, he would have witnessed his first Super Bowl action in, uh, over 40 years, somehow? Marrone told ESPN today that he didn’t watch last season’s Super Bowl, not even to scout for the Patriots this week (hmm), and that in fact he hasn’t watched a Super Bowl since he was “maybe 12” (what) because it’s too painful to watch a Super Bowl that he fell short of (cool). Imagine, if you will, grizzled preteen Doug Marrone betting big on the Raiders beating Minnesota in 1977—and then never watching football’s most legendary game for decades, even as he approached participation in one. Imagine caring about football so much that you can’t bring yourself to watch a dang Super Bowl. 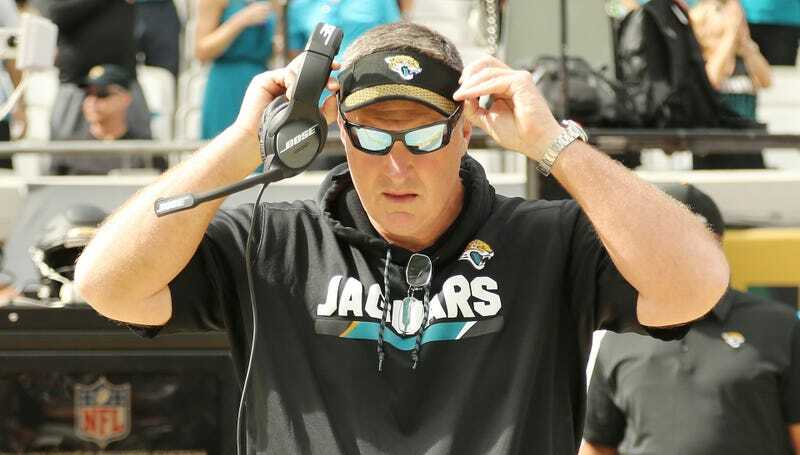 I don’t believe Doug Marrone. How Will Jalen Ramsey Ever Recover From These Burns?